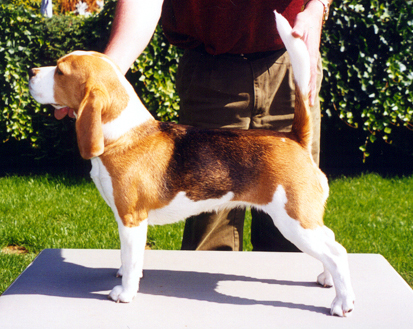 Some of Flora's wins include Minor in Show at the WA Beagle Specialty 1997, Puppy class at the Perth Royal Show same year, Flora easily made up her championship before going off with Kennel mate Clyde to Canada, where she then got her Canadian title. 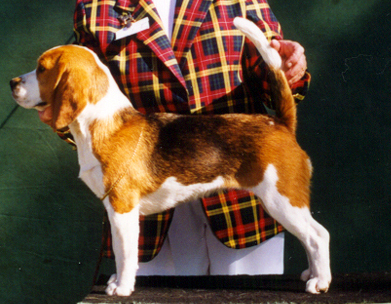 Last time I visited her in Vancouver, she was doing Agility ! !